“Today’s sound barriers are literally thick heavy walls,” says Ghaffarivardavagh. Although noise-mitigating barricades, called sound baffles, can help drown out the whoosh of rush hour traffic or contain the symphony of music within concert hall walls, they are a clunky approach not well suited to situations where airflow is also critical. Imagine barricading a jet engine’s exhaust vent–the plane would never leave the ground. Instead, workers on the tarmac wear earplugs to protect their hearing from the deafening roar. Ghaffarivardavagh and Zhang let mathematics–a shared passion that has buoyed both of their engineering careers and made them well-suited research partners–guide them toward a workable design for what the acoustic metamaterial would look like. They calculated the dimensions and specifications that the metamaterial would need to have in order to interfere with the transmitted sound waves, preventing sound–but not air–from being radiated through the open structure. The basic premise is that the metamaterial needs to be shaped in such a way that it sends incoming sounds back to where they came from, they say. 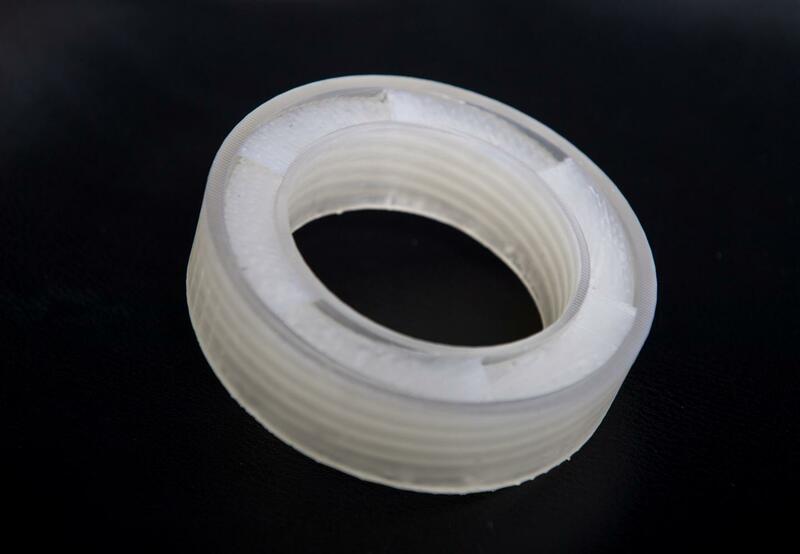 By comparing sound levels with and without the metamaterial fastened in place, the team found that they could silence nearly all–94 percent to be exact–of the noise, making the sounds emanating from the loudspeaker imperceptible to the human ear. Closer to home–or the office–fans and HVAC systems could benefit from acoustic metamaterials that render them silent yet still enable hot or cold air to be circulated unencumbered throughout a building.